Anyone who can't sleep needs to know about this natural sleep aid. A few years ago I went through a bad time with sleep. I did a lot of research online looking for something natural I could take that would help me. Reach for the Turkey Tablets When you Can't Fall Asleep! I am sure we all remember everyone falling asleep after the family Thanksgiving dinner. What I didn't know then that I know now is that L-trotophan is a major component in turkey and it makes us sleepy. This essential amino acid can help you fall asleep and stop your mind from racing. I decided to order some L-tryptophan on Amazon and give it a try. L-tryptophan is an amino acid, a protein building block that can be found in many plant and animal proteins. L-tryptophan is considered an essential amino acid because our bodies can't make it. It is needed for the development and function of many organs in the body. Once we absorb L-tryptophan from our food, our bodies will convert it to (5-hydroxytryptophan), and from there to serotonin. Changes in our levels of serotonin can change our mood. Serotonin also is a hormone that transmits signals between nerve cells. 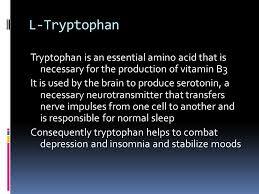 L-tryptophan is used for many things, but enhanced mood, depression, and restful sleep are the most common. L-tryptophan can be used for improving mood swings, easing tension, and irritability in women with PMDD. It has also been used to help people to quit smoking. There are some claims that L-tryptophan can enhance other medications for depression. Attention deficit-hyperactivity disorder in children. Treating sleep disorders by improving mood, decreasing the time it takes to fall asleep, and easing sleep apnea. Give this natural alternative a try. An article from Psychopharmacology found that doses ranged from 1-5 grams of L-tryptophan to be an effective treatment for insomnia. It was also noted that L-tryptophan did not cause any grogginess the next morning. Lower doses of L-tryptophan from 250-500 mg, however, were not found to provide much help for sleep issues. A Great Natural Sleep Aid Alternative. I can only say from my own experience and from the reading I have done online from people who have used L-tryptophan, is yes it does work. 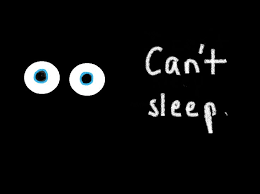 If you have chronic insomnia take a dose between 1-4 grams at bedtime. It will ease your mind to know that there is very few side-effects or interactions with prescription drugs. 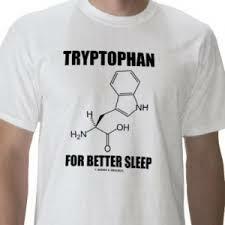 L-tryptophan makes a wonderful alternative to conventional drugs for the treatment of insomnia.